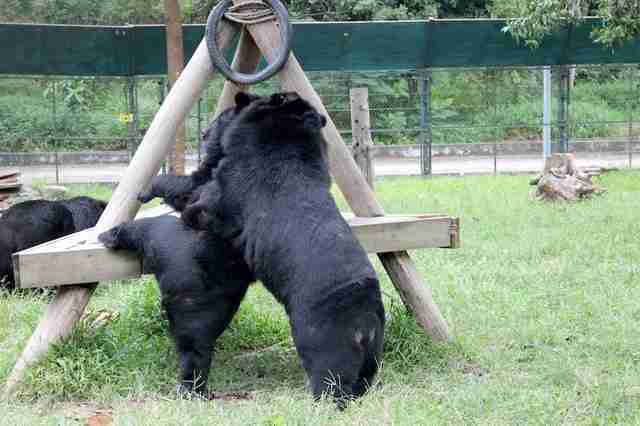 Happy #MoonBearMonday from Murko and Bridger! On this fine morning, Murko is hamming it up for the camera ... at his own peril. For the first seven years of Murko's life, he was kept in a display cage by a small-town company in northern Vietnam. After Animals Asia rescued him, it took him months to recover from his anxiety. 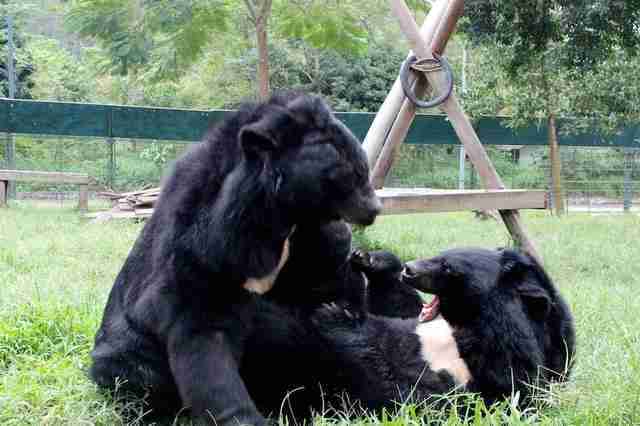 As ever, the best medicine was the patient friendship of other bears at Animals Asia's sanctuary.html">Vietnam bear sanctuary. 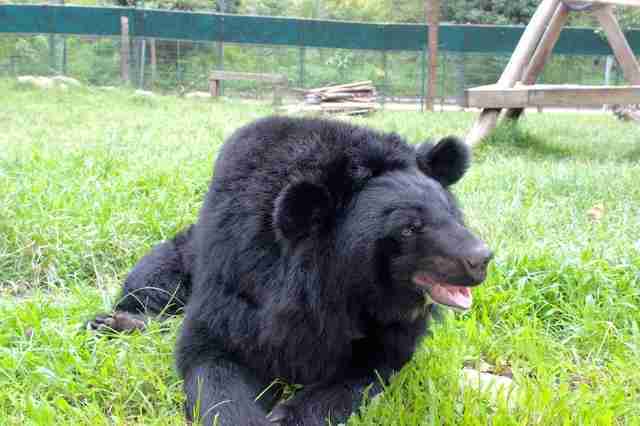 Since arriving at the sanctuary in 2011, the attention he's received from both bears and people is very different to the stares of the first part of his life. And as it turns out - Murko loves it. But Bridger doesn't always like to share the spotlight. At 201 kilograms (approx. 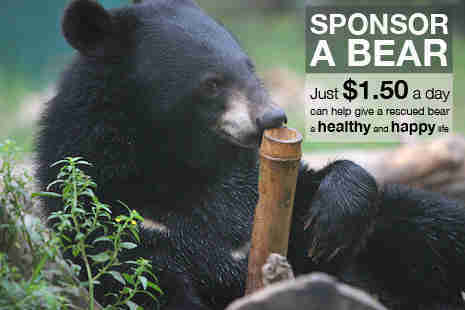 443 pounds), Bridger is the Vietnam sanctuary's largest bear, and he doesn't like to be ignored. Rescued from southern Vietnam's Binh Duong province, Bridger is a gentle giant. Well, relatively gentle. Since his new life started at Animals Asia's Vietnam sanctuary in 2010, Bridger has loved the freedom that sanctuary life has given him. A big and playful bear, Bridger needs his space. 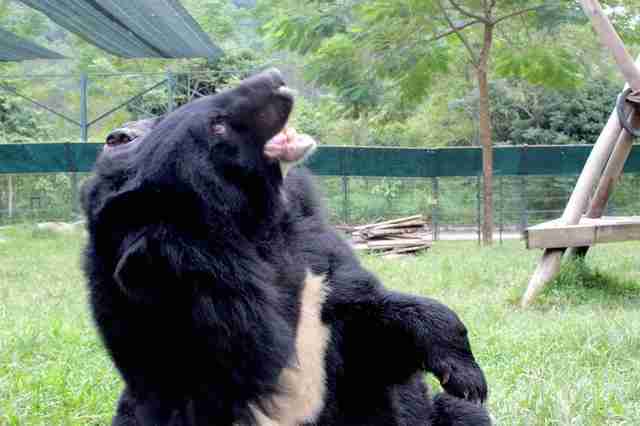 And this #MoonBearMonday, his space just happens to be where Murko is playing up to the camera.